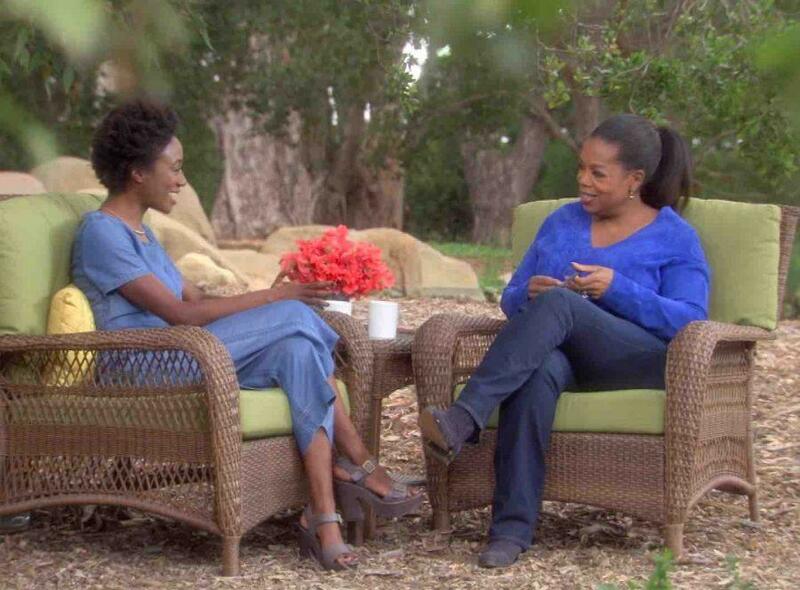 Kim Brooks (School of Communication ‘05) hosts “O Girls,” a documentary about the journeys of graduates from the Oprah Winfrey Leadership Academy for Girls, which premieres Jan. 15 on Fusion. Kim Brooks knows that anything is possible. Now she just needs to convince everyone else. Brooks (Communication ’05) spreads this message in “O Girls,” a one-hour television special following the journeys of five graduates of the Oprah Winfrey Leadership Academy for Girls in South Africa. The special will air Jan. 15 on the Fusion network, where Brooks is a correspondent and on-air host. When Brooks came to Northwestern, she thought she would pursue the pre-med track. But as she found herself surrounded by many creative minds, Brooks said she realized she wanted to pursue a career in television. Communication sciences and disorders Prof. Charles Larson, who taught Brooks and worked with her in a laboratory, said he isn’t surprised she decided to pursue television because she has a bright personality and adventurous spirit. “She (is) an amazing young woman, very gregarious, always a sparkle in her eyes,” Larson said. Brooks said she has always set her sights high, and after graduating from college she set her sights high by applying to work for the Oprah Winfrey Show. Brooks landed a job there and stayed for one year, but she said Oprah has remained an important part of her life due to an impulsive decision she made while chatting with Oprah’s makeup artist at the time. While Brooks with working at the show, Oprah had just opened the leadership academy, and after seeing the documentary about its creation, Brooks said she knew she wanted to be a part of it. With the makeup artist’s encouragement, Brooks wrote Oprah a letter saying she had always envisioned their paths crossing and would love to visit the academy. Brooks didn’t think much of it and doubted there would be a response, she said. Soon, Brooks was leaving the country for the first time, losing her luggage along the way and meeting Oprah in South Africa wearing a dirty hoodie. But seeing the students for the first time instantly made things better, Brooks said. Brooks maintained relationships with these students and has been back to South Africa three times since. Mark Lima, vice president of news and supervisor of one-hour specials at Fusion, said in an email that he noticed the rich potential the story of the academy and the girls held. Knowing Brooks’ relationship with Oprah and the students, he suggested that she do a feature on the journeys of academy graduates, Brooks said. The result, “O Girls,” features five graduates from the academy’s first class and follows their lives since they graduated, highlighting the power of education and the notion that women can do “amazing” things when empowered, Brooks said. One of these girls is Bongeka Zuma, who grew up in a South African village where women are forbidden from speaking, Brooks said. After graduating from the academy, Zuma became salutatorian of her class at Spelman College in Atlanta and now studies at the University of Oxford. She is just one out of hundreds of students hand-picked by Oprah to attend the academy. As much as Oprah’s green-lighting her involvement in the project inspired Brooks, she said the students at the academy in South Africa have also had a profound impact on her outlook.